Nestled in a windswept cove, the lone tree on the subantarctic Campbell Island in New Zealand shouldn’t technically be there. The Sitka spruce, a northern hemisphere native, is a long way from its taxonomic cousins—and in fact, the closest tree of any kind is more than 170 miles northeast on the Auckland Islands. 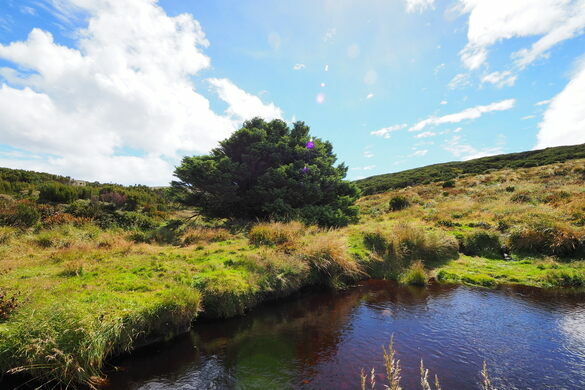 The lonely tree was planted around the turn of the 20th century by New Zealand’s then-governor, Lord Ranfurly. 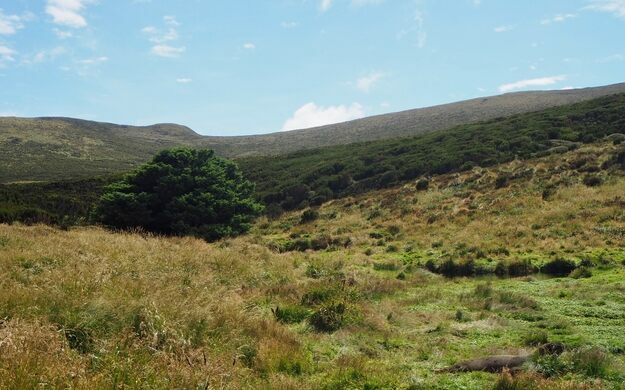 More than 100 years later, the introduced spruce is considered the most isolated tree in the world, after the former record-holder, the Tree of Ténéré in the Sahara Desert, was mowed down by a drunk driver. The conifer endures not only isolation but also the wild weather of the “Furious Fifties” latitudes. 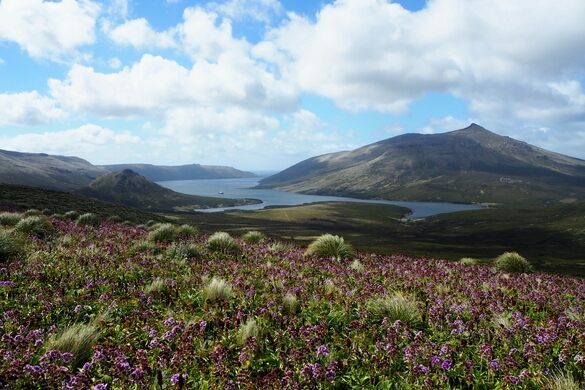 Campbell Island has the cloudiest climate in the subantarctic, with rain for 325 days and gale-force winds for 100 days of the year. Surprisingly, the spruce seems to be thriving in these conditions, growing at a rate five to ten times faster than normal. Still, the 30-foot-tall tree lacks the cone-shaped crown characteristic of the species, instead growing into a poofy cauliflower shape. It’s thought that this unusual silhouette is due to the central trunk being removed to serve as a Christmas tree. This likely happened several decades ago, when the island played host to year-round meteorological staff. The Loneliest Tree is a poignant reminder of the human impact on this fragile and unique ecosystem. Campbell Island was exploited by humans for whaling, sealing, and farming since its discovery in 1810. Other human imports, including destructive rats and feral cattle, have been removed, but the Sitka spruce remains, a lone sentinel. In 2014, scientists took core samples from the 100-year-old tree to examine climate information contained within the tree’s rings. Despite its remote location at the bottom of the world, the tree’s rings record radiocarbon from above-ground nuclear testing. This perhaps serves as a reliable marker for the advent of the Anthropocene—the geological age of humans. Campbell Island is an UNESCO World Heritage Site and nature reserve administered by New Zealand’s Department of Conservation. Access is restricted and a permit is required to land. 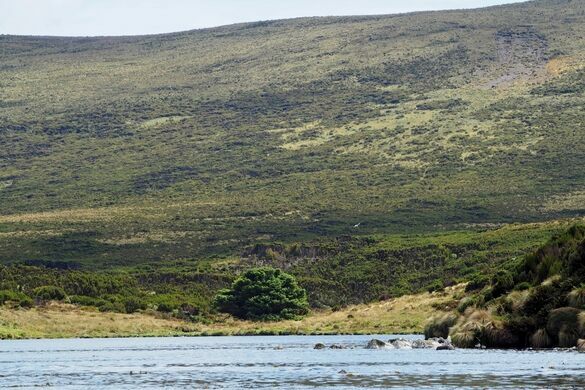 Private tour operators offer trips to Campbell Island, including landing at Camp Cove where the Loneliest Tree is located. This quirky collection is an interactive exhibit crammed with creative contraptions and tinkered-with toys. An eerily charming collection of salvaged buildings and curios grown out of a family scrap business. Celebrating the history of whiskey production during New Zealand's era of prohibition.